Leading Brisbane project management and advisory firm Siecap is honoured to welcome senior project and chemical engineering executive Jeffrey Morris to their energy division. With over 23 years’ experience in the chemical process industries, Jeff has compiled a wide range of specialised skills aligned to successful delivery of complex projects. These include process, risk and safety engineering, project management and operating excellence. With the recent completion of an Executive MBA, Jeff combines the latest business thinking with a fundamentals-based approach to manage the lifecycle of complex projects across the chemical industries. In terms of his biggest career achievement to date, Jeff admits that it is hard to choose one, as there have been so many highlights. “My top three career moments would have to be: conducting a Process Safety Management best practice tour of the United States; being a key member of the QQC/BG team that achieved Financial Investment Decision for the QCLNG project; and managing a field development plan for a Coal Seam Gas operation,” he explains. Siecap CEO David Irvine believes that the addition of Jeffrey Morris, and the recent successful delivery of project studies in the energy sector has further bolstered the Siecap energy business to continue growing into a powerhouse business. 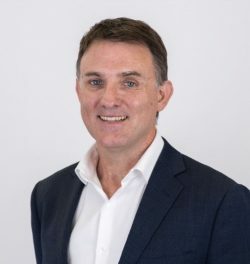 “Jeff’s extensive chemical engineering and project management experience covering downstream and upstream oil and gas and alternative energy technology, coupled with his executive MBA business acumen will further assist our energy clients to optimise cost, increase performance and manage risk,” Irvine says. Siecap is a dynamic project management and advisory business that provides customised solutions across the resources, energy, infrastructure, agribusiness, supply chain, logistics and procurement industries that balance leading-edge strategy with pragmatism.